The single most important factor in determining the success of a business is leadership. But despite all the research that has been done on leadership, we still skate around the most important trait of a leader: character. When it comes to selecting people to lead our organisations, we are very comfortable in looking at their experience, the results that may be attributed to them, academic qualifications, compatibility and even psychometric testing. Of course, psychometric testing seeks to provide an insight into someone’s personality and aptitude in a range of areas. But I believe character goes to a deeper level and looks to a person’s moral character, their values and their sense of purpose. And it is through these traits that a worthy leader is to be found. The ceiling to the success of your business lies in your leadership team’s level of worthiness, with the lowest dominator setting that ceiling. That is, your weakest leader sets the limit to your success. The key aspect to highlight is the reference to wealth and position (finances and utility) being more highly valued in our society than character. As a society, we measure success in a simple way: ‘How rich are you and what heights have you reached in your career?’ The assumption being that one should lead to the other – wealth to position and position to wealth. We, of course, don’t ask the questions of, how did you get there? Or did you take anyone else with you? 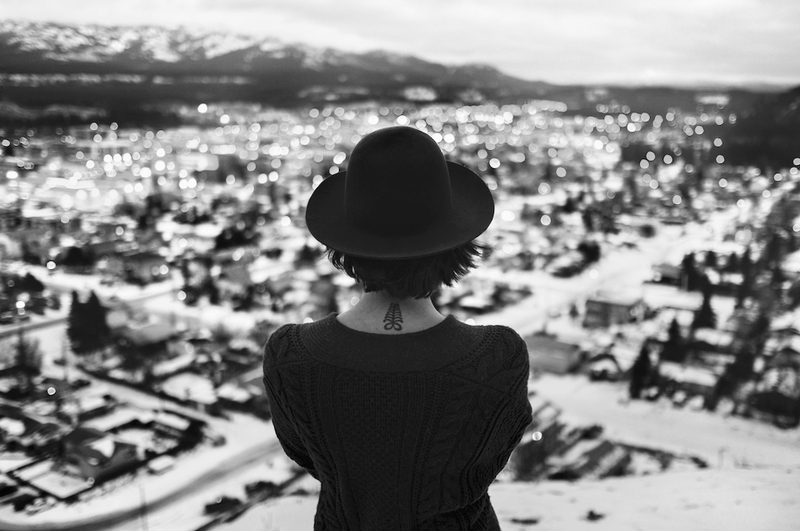 Success seems to be an individualised question: how successful are you? But when you come to choose leaders for your business, wherein lies their worth? Is it in their personal success, or that of the businesses they have led and the success of the many people who worked with them in those businesses? John Maxwell, in his book 5 Levels of Leadership, describes the highest level of leadership (the pinnacle) as being held by someone who ‘people follow because of who they are and what they represent’. While Jim Collins, in his book Good to Great, describes the highest level of leadership (the executive level) as being held by someone who ‘builds enduring greatness through a paradoxical blend of personal humility and professional will’. In both of these references, the authors note the ‘character of the individual’ as being the measure of their likely success as a leader – who they are, what they represent, personal humility, and professional will. I personally believe ‘humility’ is the core of great success. If you would like to explore this theme a bit further, I would recommend you read one of my earlier posts from this year, ‘Gratitude Grows From Humility’. The study of business and what makes a business successful is relatively new in our Western society, having been some 60 years in the making. Leadership is just one part of this study. In my doctoral studies of ‘what makes businesses successful and their strategies’, I sought a benchmark against which to compare what I described as our ‘Western theories’. I found this benchmark in the classical Chinese works on military strategy. Of course, some of these Chinese works have become widely read for their general wisdom but there is a far greater depth to them if one pauses and places them in context. The classical works on strategy that still exist today were authored during the period of approximately 1100BC to 100AD. They represent at least 1200 years of practical knowledge that has been sought after and valued for some 3200 years. It does seem to make our 60 years a little light on. These works are philosophical in nature but they must be considered applied philosophy, as they are based on hard-learnt lessons of the battlefield. These works drew upon battlefield victories and defeats to provide the essence of the advice they carry. In the earlier years, when the first of these works were compiled, armies were led by kings and consisted of noble families amounting to a few thousand warriors in a campaign. However, as the centuries passed and the intensity of conflicts grew, rivalling states had standing armies of nearly a million soldiers with reportedly 600,000 being mobilised in a single campaign along with 100,000 chariots. At the campaign for Ch’ang-p’ing in 260 BC, the state of Ch’u lost 450,000 men. Just consider for a moment the size of the armies and the resources that had to be marshalled in these campaigns. And the conditions under which their ‘organisational practices and processes’ were tested and proven. While leadership and motivation problems plague contemporary businesses of today, they were also central to the winning of these historical campaigns. And I think it is fair to say that the conditions under which they were tested and proven were far harsher and less forgiving that our modern-day competitive battlefields. Losing an annual bonus was, I guess, the least of the worries for a general in the state of Ch’u. How to build centralised authority supported by the people and then expanding the geographical scope of that authority while maintaining that support. Building a culture with the people to underpin the visions of the leaders. How to build a bond between leaders and their followers. The process of selecting good leaders. The use of rewards and punishment. The training and selection of men. The motivation of men and inspiring exceptional performance. The process of continuous learning. Building teams and mutual responsibility. Building organisations that can deal with continuous change. Creating an endless range of tactical actions that ensure organisations will always win. It almost reads like an MBA course outline rather than the challenges of sustaining and growing a state, but then again, I don’t think the challenges are that different, just the price of failure. Leaders must assiduously practice virtue and base their foundation on moral standards. With respect to virtue, leaders are responsible for setting the example for all their people. Benevolence, righteousness, loyalty, creditability, sincerity, courage and wisdom are the virtues leaders must nurture and display. Leaders must not only be a source of personal example, they are required to gain an intimate understanding of the needs of their people. The personal emotions of leaders are not permitted to interfere with impartial leadership. Excessive pleasures by leaders to the detriment of the people are unforgivable. Righteousness must always override personal desires and emotions, and leaders must actively share the hardships and pleasures of their people and clearly be seen to be doing so. Only through such a course can a leader bind his people to himself. And I see within this one classical work the unpacking of these standards, and, in fact, the setting of a much higher standard. One, which I suspect, we would struggle to find many examples of amongst today’s leaders. The success of your business rests with your leadership and those who you choose as leaders. The impact of centripetal force must be recognised. Another of my recent articles, ‘The Myth Of A ‘Mature’ Business’, expands on this principle. ‘Leadership forms the core of a company. It is its heart and strength and provides for its continual renewal. If the heart weakens or becomes poisoned then all the company is weakened and poisoned with it and competitiveness fades. Companies are a community of people. Humans are irreducibly communal and drawn by centripetal force. Authority overlays this communal relationship and extends its influence symmetrically around its own axis. Leadership resides at the centre and derives its influence from the centripetal force. The strength of the force determines the degree and extent of leadership influence. Exemplary leaders form a beacon that attracts but they are visible to everyone and should they err all will know and be affected. The purpose of the exemplary leader is to achieve harmony within their field of influence as it is only through harmony that competitiveness may flourish. The strength of competitiveness is determined by the strength of harmony. Harmony is achieved by following the right path. An exemplary leader is not determined by the technical competencies they possess but by their personal strengths and weaknesses. It is the quality of character that companies must seek in their leaders. It is the quality of character that will determine the strength of harmony and competitiveness. If you were to assess your existing leadership team against the above strengths and weaknesses, who would be your worthy leaders? Is the way you identify and lift up the future leaders of your business creating a worthy leadership team? Need to lift the leadership performance in your business? 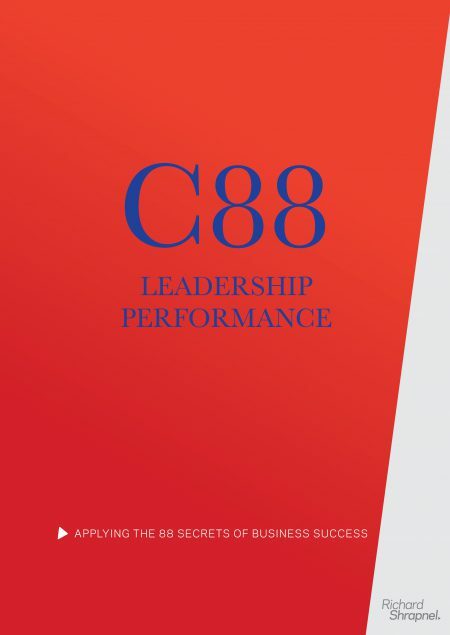 Learn how in C88 – Leadership Performance Guide and Journal. Want to become part of the Entrepreneurs+ community? Sign up for my eNewsletter and join the conversation by sending me a question via Ask Richard.